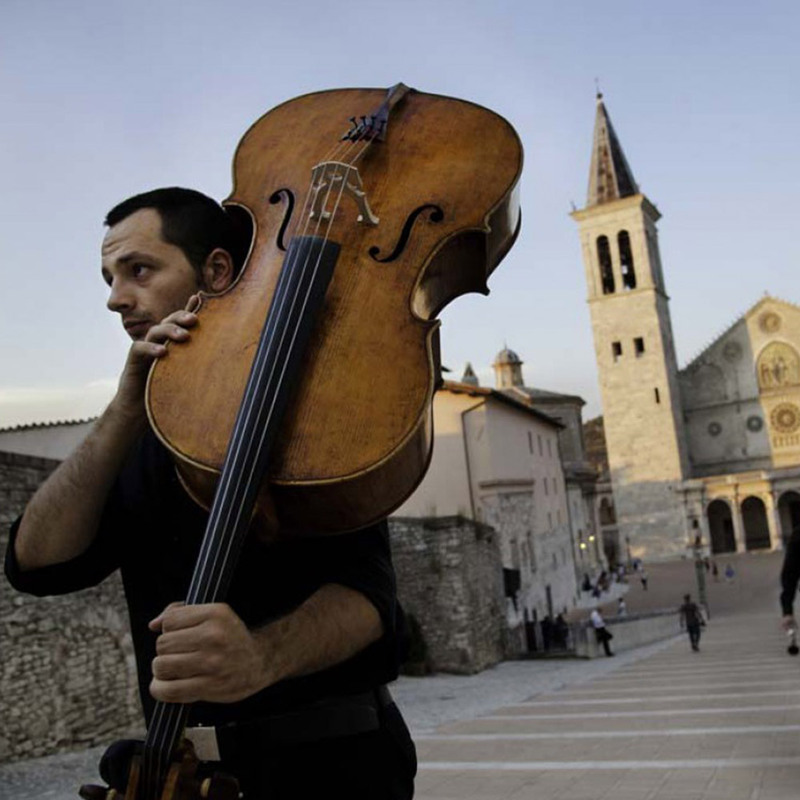 The Festival dei Due Mondi (Festival of the Two Worlds) is an annual summer music and festival held each June to early July Spoleto Italy, since its founding by composer Gian Carlo Menotti in 1958. It features a vast array of concerts, opera, dance, drama, visual arts and roundtable discussions on science. The “Two Worlds” in the name of the festival comes from Gian Carlo Menotti’s intention to have the worlds of American and European culture facing each other in his event; this concept would then be strengthened by the fact that it was held in conjunction with its “twin”, the Spoleto Festival USA held annually in May/June in, Charleston, South Carolina. That twinning lasted some 15 years and, after growing disputes between the Menotti family and the board of Spoleto Festival USA, in the early 1990s a separation occurred. Under Menotti’s direction in 1986, a third installment in the Spoleto Festival series was held in Melbourne Australia. Melbourne’s Spoleto Festival changed its name to the Melbourne International Festival of the Arts in 1990. Following Menotti’s death in 2007, changes occurred in the administration with the result that the Italian Minister of Cultural Affairs appointed a new Artistic Administrator who continues to run the Festival.